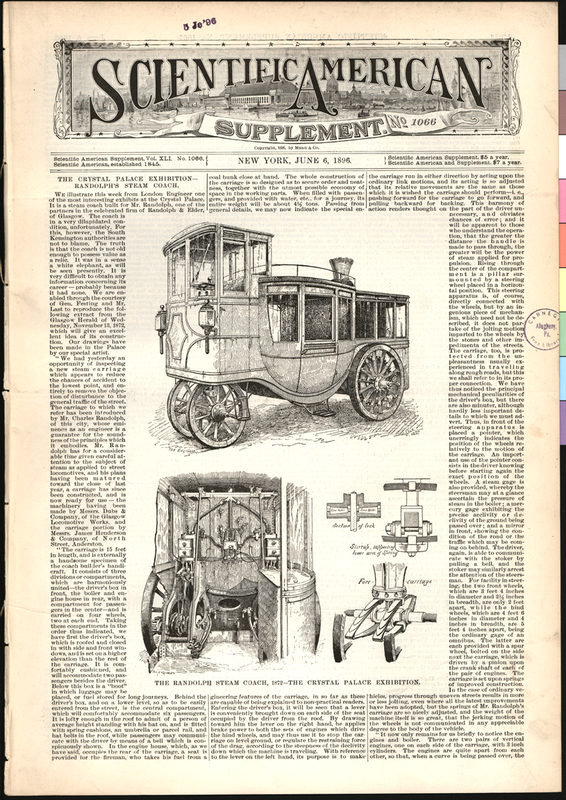 Charles Randolph's Steam Carriage was featured in the Scientific American Supplement of June 6, 1896, Vol. XLI, No. 1066, pp. 17031 - 17032. 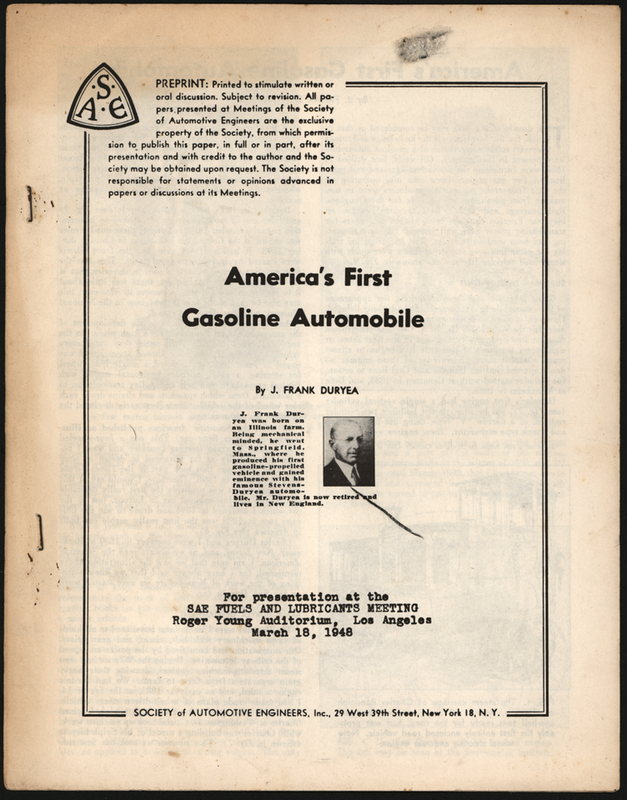 Frank Duryea referenced Charles Randolph's Steam Carriage in his 1948 lecture before the SAE FUels and Lubricants Meeting inLos Angeles. 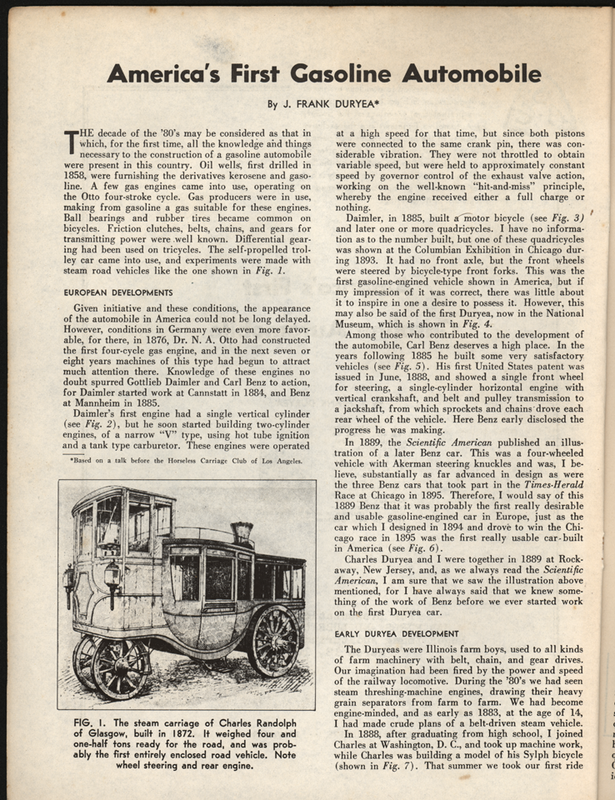 Contact us if you have additional information about the John Randolph Steam Carriage, or if you have questions.